Future Generali - Saraswat Cooperative Bank Ltd.
Future Generali India Life Insurance Company Limited is a joint venture between three leading groups: Future Group – A leading retailer in India (owners of Big Bazaar), Generali Group- A global insurance group that features among top 50 largest companies in the world and Industrial Investment Trust Limited (IITL) – A leading investment company. This is Non Linked Non-Participating Life Insurance Plan. Get a Total Maturity Benefit which is twice the total premiums paid under the life insurance plan over a period of 12 years. Limited Premium payment – Pay premiums only for 12 years and stay protected for 14 years. Guaranteed income – Get guaranteed income for 12 years after the end of policy term. Tax benefits under section 80C and 10(10D) as per the prevailing tax laws. You pay premiums only for 11/15 years and get guaranteed payouts for the next 11/15 years. Besides guaranteed income, the plan offers you Additional Benefits. Depending on your age, you can receive up to 4.5 times your annualised premium along with the last payout. The plan also provides Death Benefits to your nominee, depending upon your age and the Policy Term opted for. Option A - Receive 10% of Sum Assured every year for 9 years and 110% of Sum Assured on Maturity. This is Non Linked Participating Life Insurance Plan. 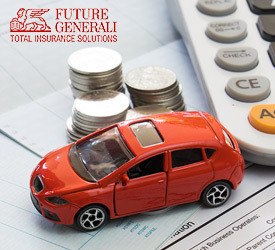 Flexibility to choose any combination of policy term and premium payment term in accordance with financial goals. Opportunity to enhance your maturity payout via bonuses. Option to choose between 2 death benefit payout options.